Weird S*it: We have sharks that will bite you at our beaches, Sydney has an extremely poisonous spider call the funnel we spider. Special S*it: Biggest Island and Smallest Continent. Also the Dual Flush Toilet was invented here! 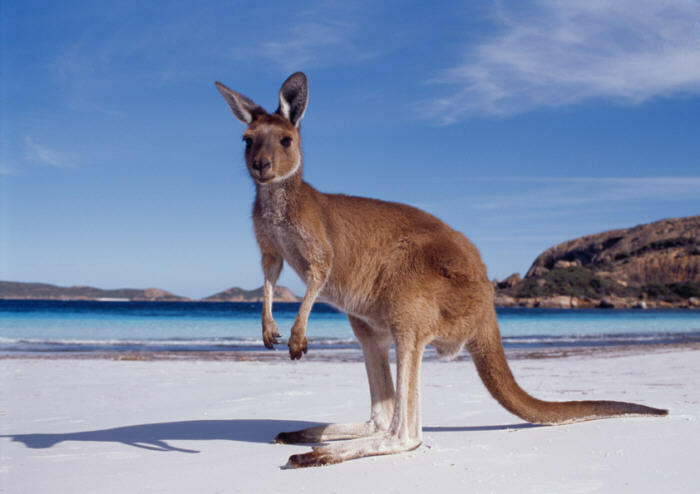 Crazy S*it: Australia is a massive producer of Wines and is an excellent place to get DRUNK! he he he! A BIG piece of land in the middle of the ocean. Okay, geographically it isn’t so exciting, but upon further inspection, the country is well populated with an interesting mix of people from all over the world. And there are many dangerous animals in the cities, just joking- in the countryside. We have the conventional slick capital cities, with all the thing-a-ma-jigs, the sky scrapers, an economically booming business industry, and our lovely citizens, who are nice most of the time, will tell you things STRAIT how they are, perhaps to your surprise, with our own system of wonderful slang words and phrases. Believe it or not, Australia is a unique country. We are the largest island in the world and also in the smallest continent. We have a very rare population to land ratio, with only a population of 22 million to such a huge piece of land. Our country is very close to New Zealand and Fiji. But we have quite a different culture from New Zealand and Fiji. Of course, we have our own sports, Australian Rules football where we play full contact with no body protection! Or cricket, a good game for a patient person…. “Australia” as a country is not very old compared to other countries. Australia has been inhabited by Aborigines who’s civilization dates back up to 40 000 years ago! 200 years ago it was discovered by James Cook from Great Britain which then led to a penal colony being established in Australia. More and more european settlers came to Australia and in 1901 the commonwealth of Australia was formed. The government is under the federal parliamentary democracy. The 2009 total (ppp) GDP was around $851 billion. The currency is the Australia dollar. The country is divided into 8 states: Western Australia, New South Wales, Victoria, the Northern Territory, South Australia, Australia Capital Territory, Tasmania and Queensland. Every State has it’s own capital city, which are probably the most exciting and prosperous parts of the country. And PLEASE tell me you were not excited by those booooring statistics! Now,for something more interesting, I’ll hit you with the major cities in Australia and what distinguishes them from other cities. Adelaide, the capital of South Australia, a balanced city, rich in festivities from its many cultures. Melbourne the capital of Victoria, Melbourne it full of Artists and Musicians, the city is filled with artistically designed monuments and it’s a larger sized, city. Darwin up in the Northern Territory, is the capital, though it’s quite a small city. It’s a unique one with it’s semi tropical environment, and rather laid back people. Sydney is, Australia’s biggest city but is not the capital of Australia, Sydney, the capital of New South Wales has everything you could want. Incredible sights and attractions, lots of people, lots of city. Brisbane is the capital of Queensland, and is part of a very beautiful part of Australia. Queensland is where all the tourists flock rampantly to. Perth, the capital of Western Australia, is quite separated from the rest of Australia, but still packs an impressive city that is a little bigger than Adelaide. Finally Hobart, the capital of Tasmania, is like a colder Darwin, it’s similar in size.